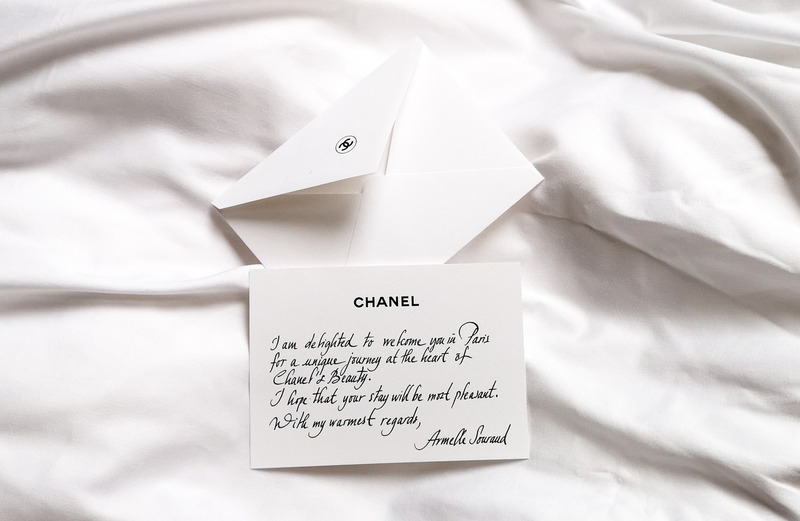 Last week I went on a very unique journey at the heart of Chanel’s Beauty. I got the opportunity to go to Paris and take a look inside the CHANEL Research and development center in Pantin. For a beauty editor, this is a dream come true: it’s one of the most amazing experiences I have had! I got to know more about the formulas and active ingredients in the new Hydra Beauty skincare products and today it’s time to share the entire experience. As I said before in the introduction, I received the opportunity to go to the CHANEL Research center for a day, including a tour with a selected group of international online press. 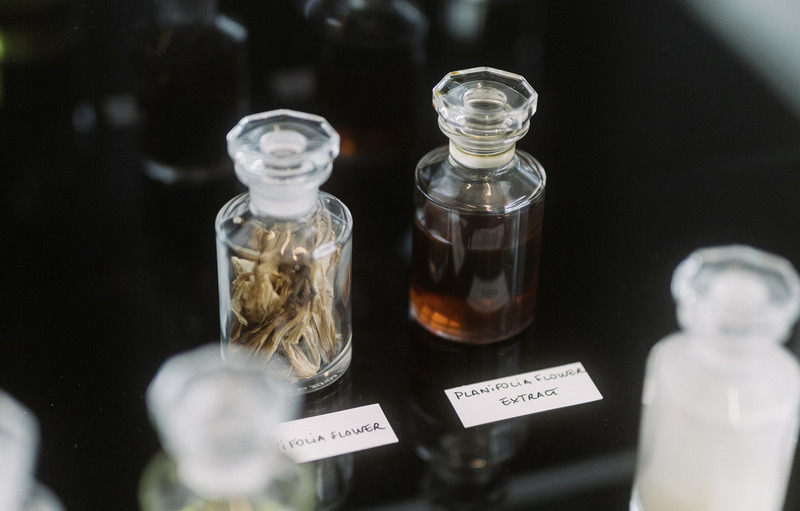 A day inside the CHANEL lab started with a presentation about the active ingredients, followed by a presentation about the formulas in skincare and a visit to the patrimony (a special part of the center, dedicated to Coco Chanel’s heritage). Last but not least we got the opportunity to try out the Hydra Beauty skincare products by ourself. 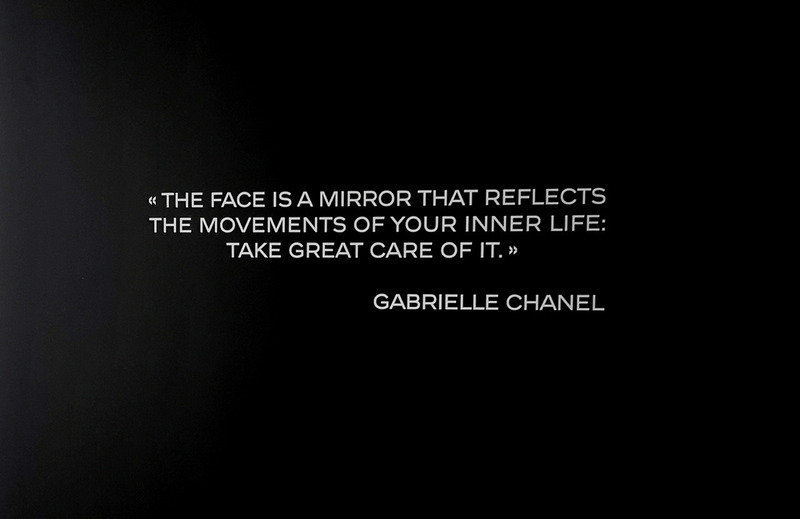 It all started back in 1927, when Mademoiselle Chanel celebrated beauty by focusing on freedom and comfort. She applied this new vision of women to her cosmetics. Visiting the very exclusive Patrimony area during the tour, was one of the most special parts. They dedicated these special rooms entirely to the heritage of Coco Chanel herself, which means we were able to see everything up close: her clothing, jewelry, dresses and even her pictures from her youth. This was so incredibely special and I felt so honoured that I was one of the selected people, that had the opportunity to enter this Patrimony area and witness this, especially since pictures couldn’t be taken. But I can give you a sneak peek of the pictures that I took in the next room, which was dedicated to beauty products that are actually created by Coco Mademoiselle herself, you might recognize some of your favorite products that are still existing till this day. 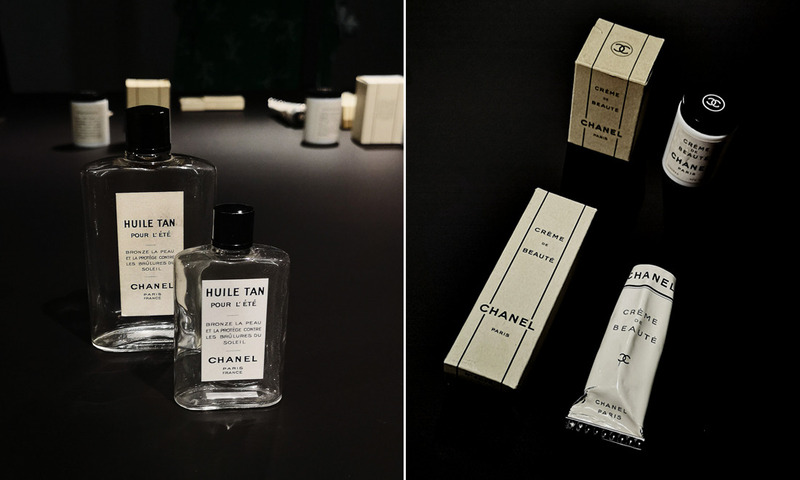 This incomparable heritage motivated CHANEL Research to stand out and claim its own presence in order to offer women from all over the world innovative and astounding skincare and makeup products. 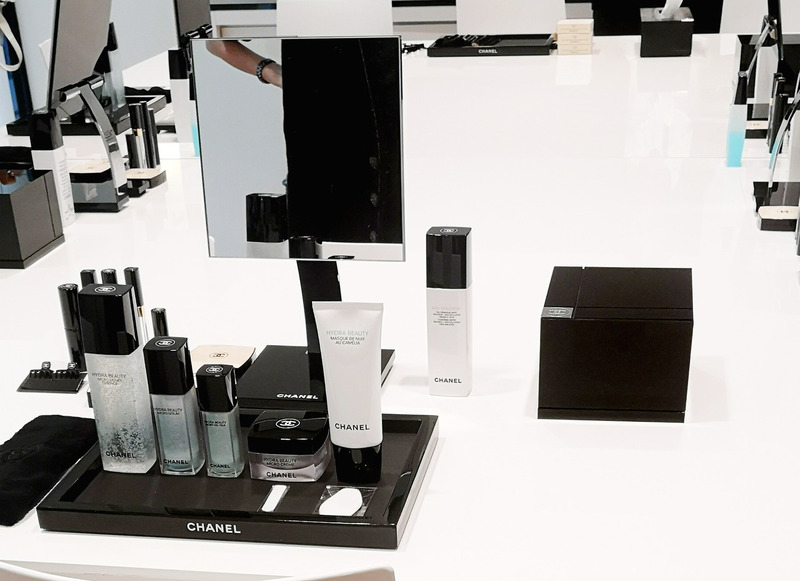 In 2013, CHANEL is expanding its vision of beauty by bringing together its France-based experts and laboratories and opening a new world-class Research Center in Pantin (France). 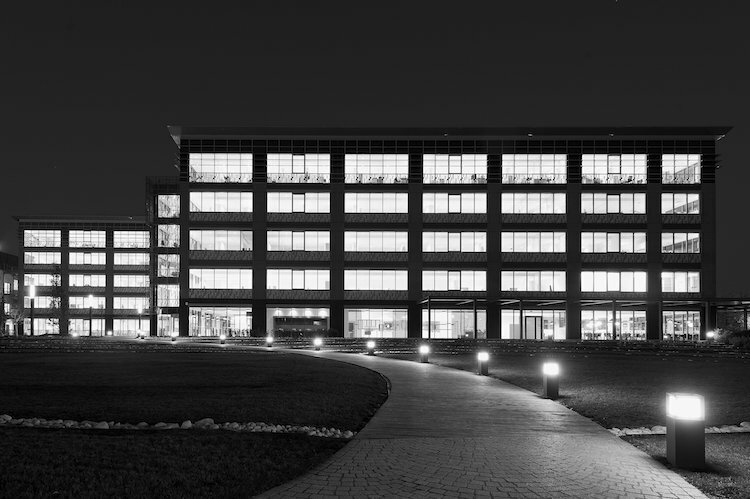 Two other international research facilities are located in Piscataway (USA) and Funabashi (Japan). 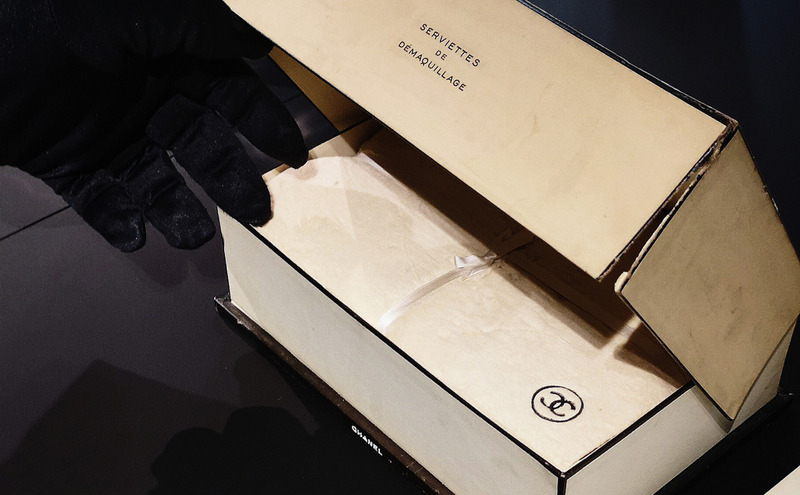 The CHANEL research center showcases all of the brand’s knowledge and values. More than 200 researchers unite their expertise to enhance women’s beauty. By stepping inside the research center in Pantin, you definitely notice how the vision of Gabrielle Chanel is still alive. Did you also know that CHANEL is focused on doing partnership-growing research projects in collaboration with internationally recognised university teams such as Harvard? I was very surprised (positively) when I heard they are collaborting with students from international universities. 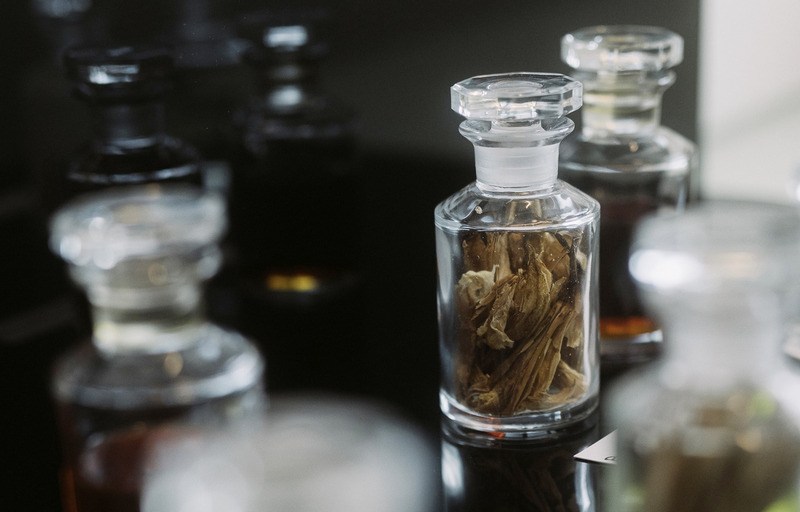 They are not only encouraging investigations and discoveries on wide-scale, but also allowing for the fabrication of new formulas and active ingredients, such as for Hydra Beauty! 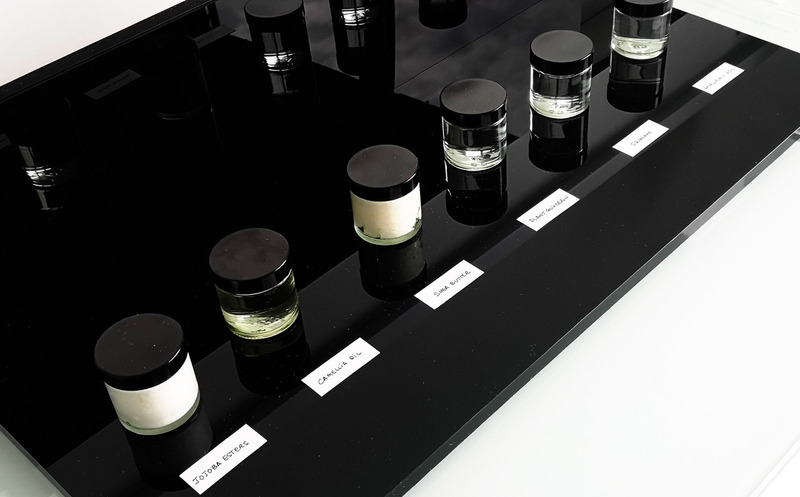 The creation of the natural active ingredients process was explained and demonstrated to us by Nicola Fuzzati. This was a big honour since he has 20 years of experience in identification, development and production of active principles derived from plants, for use in cosmetic products. 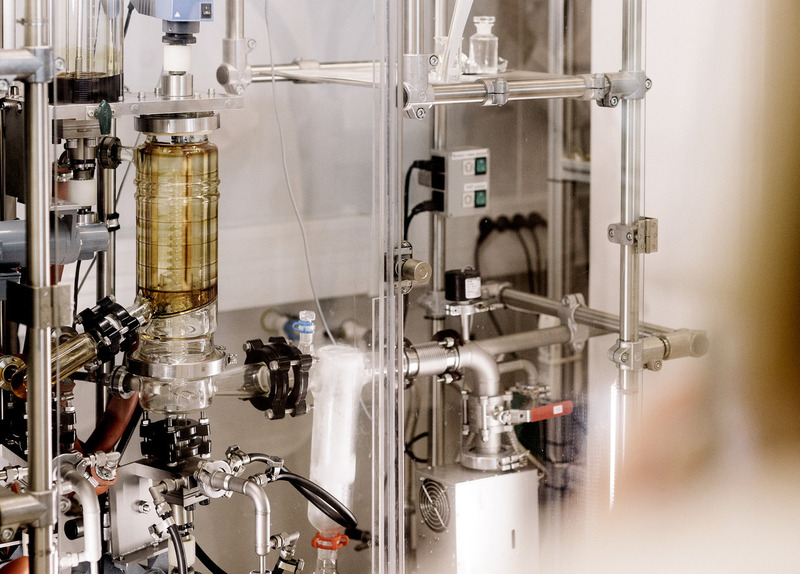 He joined CHANEL Research and Technology as Director of the Active Ingredients Research and is in charge of the research and the production of cosmetic active ingredients, starting from plant material collected worldwide. 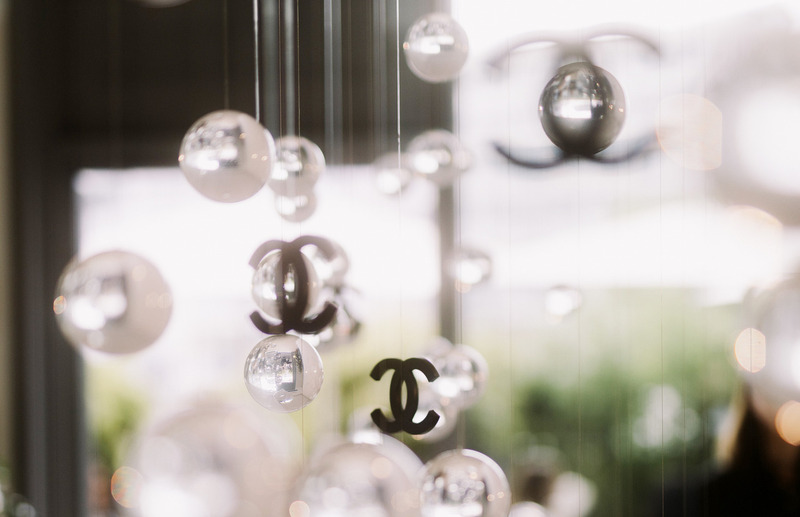 This was another very interesting part for me, since I also never knew that for natural active ingredients, CHANEL has established a full controlled supply chain. It means that Nicola Fuzzati travels worldwide to search for the best ingredients possible for CHANEL skincare products. 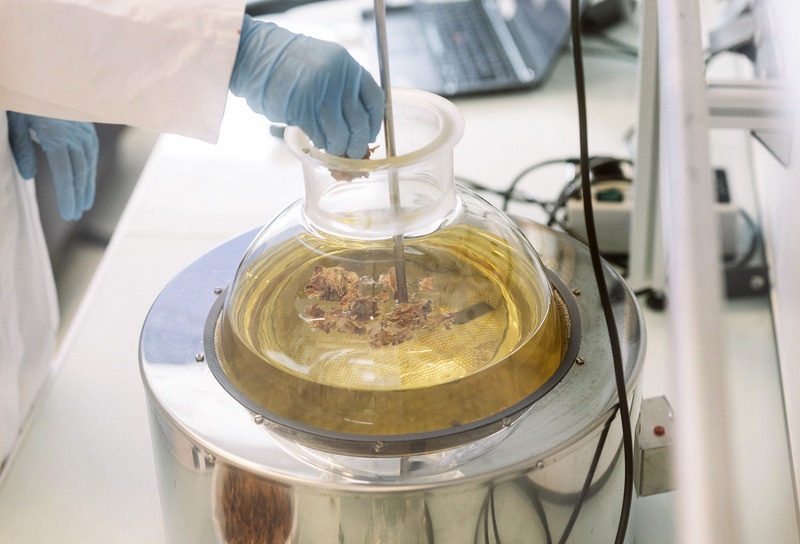 After finding the ingredients, it’s time to extract them by using very innovative and exclusive technology. 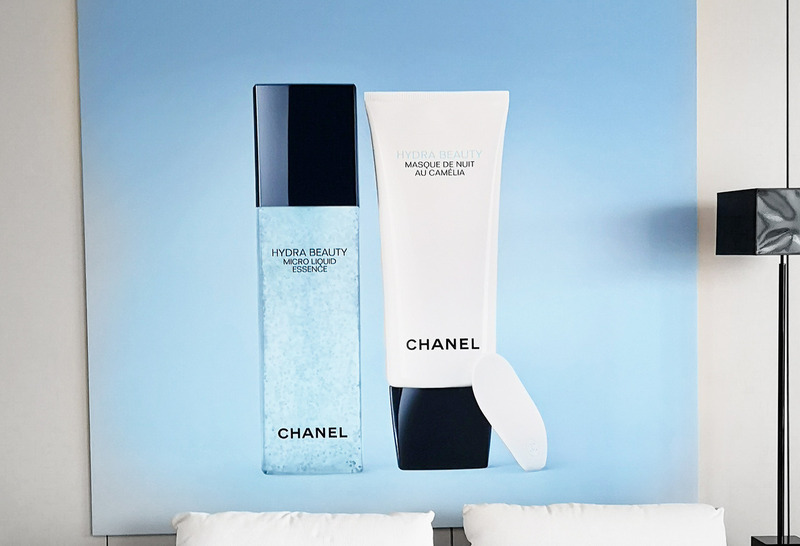 Since 2004 CHANEL has created 60 patented natural actives, such as the: Blue Ginger PFA, Camellia Alba OFA and Camellia Alba PFA, which are used in the Hydra Beauty products. But with active ingredients, we are not there yet! The next step is to move on to the creation of the formulas of the product, that strike a perfect balance between effectiveness, tolerance and sensoriality. 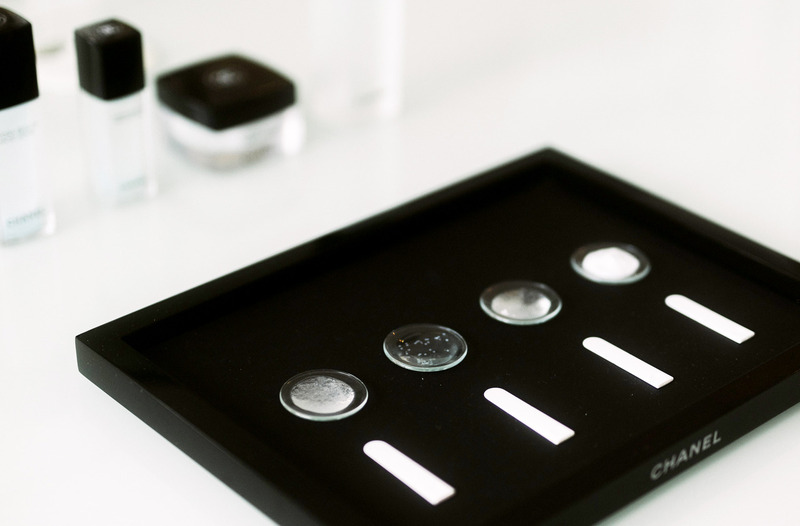 We got to try 6 different pure raw materials, which play a very important role in the formula: Hyaluronic Acid, Squalane, Plant Glycerin, Shea Butter, Camellia Oil and Jojoba Oil. If you are into skincare, some of these pure raw materials will probably sound very familiar to you. Hyaluronic acid for example plays a critical role in skin health with its unique ability to hold in moisture, meanwhile Jojoba Oil moisturizes our skin and hair when our body stops doing it naturally. After the presentations and demonstrations, it’s time to move on to the final product: Hydra Beauty. There are two exclusive active ingredients: Camellia Alba PFA for continues hydration and Camellia Alba OFA for a plumping and smoothing effect. The Blue Ginger PFA will provide complete protection against cutaneous stress. Did you also know that HYDRA BEAUTY is also the 1st hydrating ritual with camellia micro-droplets? I never thought about how difficult the process was to protect the pure active ingredients in products such as the micro liquid essence, without the ingredients breaking down after using the product. You could definitely say that creating skincare with active ingredients is a work of art! After learning more about how the active ingredients are found and extracted, how the formula is created and how the products are made, it’s time to try out the product themself and see if they live up to the expectations and promises! 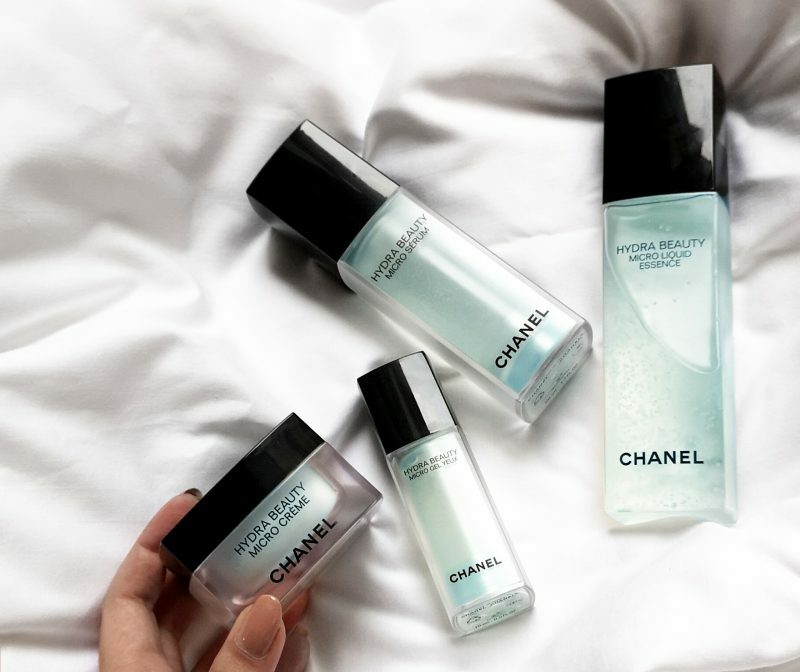 In total there are 5 products in the CHANEL Micro-Hydrating skincare range: Micro Liquid Essence, Micro Serum, Micro Gel Yeux, Micro Crème and a Mask. I previously already reviewed 2 of them, but there will be a full article coming up on my skincare routine with all of these products, where I will go more in depth on how they all actually work. So stay tuned! I hope you enjoyed reading this, as much as I enjoyed this entire experience. A big thank you to the entire CHANEL team in the Benelux and in France for this amazing opportunity!